R3D has developed an In-House Content Conversion Suite of tools, which is a key support to all market verticals and as it is also an In-House source of revenue, it is briefly described below. 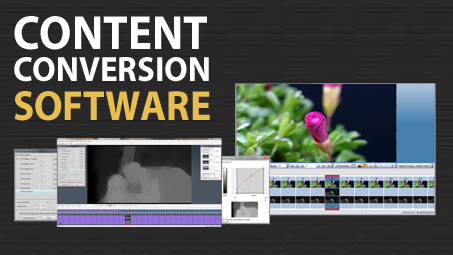 Rembrandt 3D has developed a Proprietary 2D to 3D content conversion Editing Suite of tools. These Tools are comprised of Rembrandt 3D proprietary IP (Patent Pending) Modules, Rembrandt 3D software and off the shelf hardware /software products. By integrating these tools with Rembrandt 3D trade secret know how and our In-House software code which vastly improves the efficiency and performance of our Math based conversion tools, we are able to achieve and deliver a new standard of excellence for converting 2D video into high quality 3D Stereoscopic content.